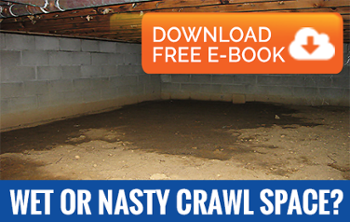 Dark, damp basements are often extremely dirty, musty areas of any Terre Haute commercial or residential property. Unfortunately, excess moisture buildup occurs easily – considering how susceptible these rooms are to leaks and other undetected water sources. This is where effective basement mold and humidity control comes in! Most basement moisture control issues are a direct result of a few different factors – these factors can range from a general lack of air circulation, to improper grading, to insufficient guttering. However, there are solutions to fighting this unpleasant occurrence of moisture – the key is basement humidity control. Controlling the level of humidity and moisture that occurs in your Terre Haute basement will help stave off mold growth and the multitude of problems that comes along with it. After all, if mold becomes an issue, it needs to be remediated as soon as possible. This is where AdvantaClean of Terre Haute comes in – our team of basement moisture and mold growth experts is trained to diagnose any basement moisture-related issues, and implement preventative and corrective measures. Basement Cleaning. Due to the presence of unwanted moisture, basements can be unclean places – and, a dirty basement can lead to some unpleasant occurrences! However, this doesn’t necessarily have to be the case – AdvantaClean technicians are skilled at providing only the best in basement cleaning services, for both commercial and residential properties. Basement Weatherproofing. If preventative measures are not taken, basements can suffer from serious weatherproofing issues. To ensure your basement stays moisture-free, doors and windows should be properly sealed, plumbing should be properly insulated, and foundations should be regularly monitored for potential cracks. Basement Dehumidifiers. Basement dehumidifier systems help to dry and circulate air through your basement – thus ensuring that the surrounding environment stays mold-free! This is integral when it comes to eliminating that distinctly musty smell that permeates your basement, and in making sure that you and your loved ones aren’t getting sick from basement-created moisture and mold.